May 13, 2016 - Since South Central Kanas Medical Center joined Summit Clinic to form a new medical clinic in 2014, hospital representatives have been working towards offering extended healthcare services beyond the traditional 8:00 to 5:00, Monday through Friday. South Central Kansas Clinic (SCKC), located at 515 N. Summit, began offering such services on May 2nd. SCKC’s after hours services are available by walk-in only, meaning no appointments are allowed during the expanded times and patients are seen on a “first come-first serve” basis. The new hours are 5:00 p.m. to 7:00 p.m. on Mondays, Wednesdays, and Fridays, and 8:00 a.m. to Noon on Saturdays. Angela Ziegler is an Advanced Practice Registered Nurse (APRN) at SCKC who has over ten years previous healthcare experience ranging from inpatient and ICU care to urgent care and emergency medicine. Ms. Ziegler will be the primary provider of the after hour services. “I am very excited to be able to provide greater access to care to our community. 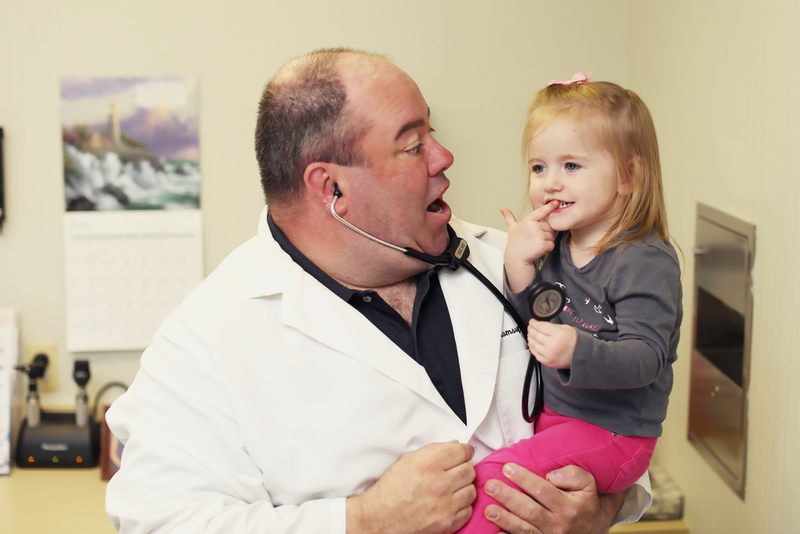 The after hours clinic is for acute health problems such as sore throats, ear infections, and injuries,” Ziegler said. Ziegler stressed that the after hours services will not take the place of the hospital for emergency situations, or the daily functions of SCKC such as medication refills and follow up appointments. “It is filling a gap in our current care by providing time for the care of our most vulnerable, the single mom who can't miss work, those who have to rely on others for transportation to appointments, and those without a current healthcare provider,” Ziegler said. Ziegler has experienced first hand the need for local after hours care. “As a mother of five I know how common it is to have my children wake up on a Saturday morning with a fever or an ear ache and have no good options for their care. I must decide if I am comfortable waiting until Monday morning, driving 45 minutes to the nearest urgent care, or going to the local ER. None of these seem like a great option. Now the people of Ark City and the surrounding area have the perfect option with our Saturday morning clinic,” Ziegler said. For more information about South Central Kansas Clinic call (620) 442- 4850, or visit them online at www.sckclinic.com.